Now, we’d be lying if we said that the Toyota Camry has completely shed its suburban skin. But this new eight-generation Camry 2.5V does make the cut with its brawny dad bod appeal. It’s not your parent’s Camry when levelheadedness ruled the day. Even if it’s a testament to its reputation for reliability. Think Russell Crowe in Gladiator and you’ll be on the right track. Perhaps that is why opting for this “Beautiful Monster” might just be the way to go. 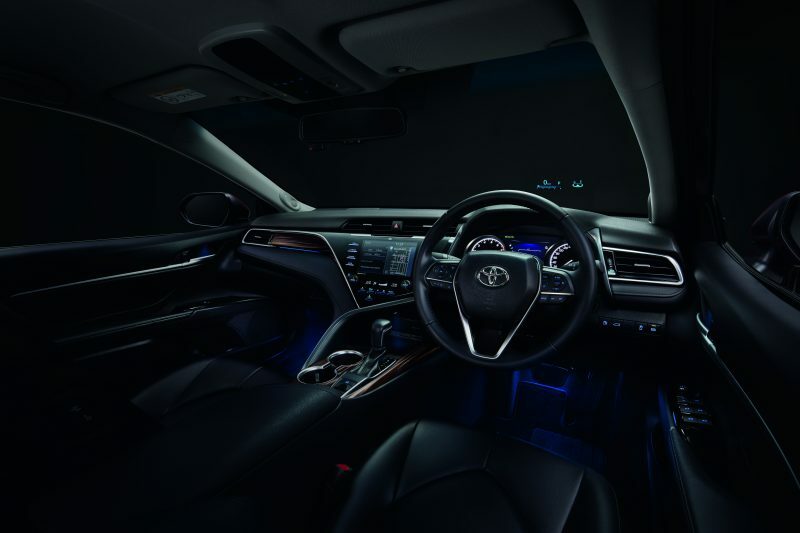 The new Camry enables both C-Suite executives and concerned satellite town dwellers to make an impression wherever they go by building on the success Toyota has with its outgoing variant last year. During our brief encounter, it performed on all accounts, in a stylish and spacious leather interior without compromising on driving pleasure. The car has more girth but sits lower with an aggressive stance that looks great. 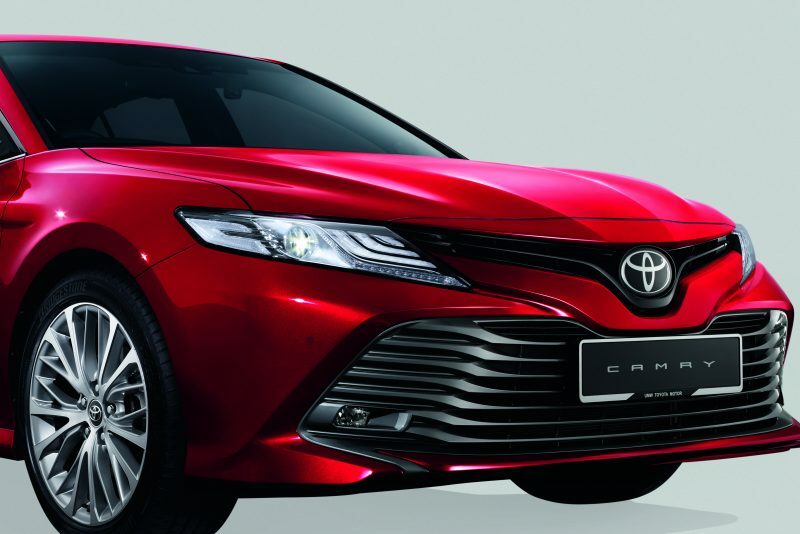 As the eight generation of the Camry, it boasts the new Toyota New Global Architecture (TNGA) that’s much more dynamic and stable. It is a car that stops you in your tracks given its new looks and a futuristic design for optimal weight balance and a lower centre of gravity for responsive handling, even at high speeds. There’s also the double wishbone rear suspension for agility and riding comfort in a good-looker that wins you over with its charm without being too obvious. And Toyota shines in this department. The same 2AR-FE 2.5-litre engine is ready to give you 235Nm of torque at 4,100 rpm as a four-cylinder workhorse for a sophisticated new audience. The real test came when we took it out during the evening’s rush hour. Unconstrained by hybrid bureaucracy, this beast can get the better of Malaysian public roads. It’s not complicated, and it works. Power-to-weight ratio feels solid and its handling is rewarding in Sports mode. An effort has been made to insulate the interior from the head-pounding din outside. We’ve also been enthusing about the Camry understated turning radius for a car this size. Even with new, improved technology, some manufacturers make it work better than others, and you get what you paid for in terms of quality and ease of maneuverability. With the proliferation of safety features such Pre-collision System, Lane Departure Alert with Steering Assist, Dynamic Radar Cruise Control, and Automatic High Beam, rightfully included, you can see, feel and hear the difference. You’ll find LED headlamps and daytime running lights to go along with sporty 18-inch alloy rims and very comfortable leather seats with driver memory function. 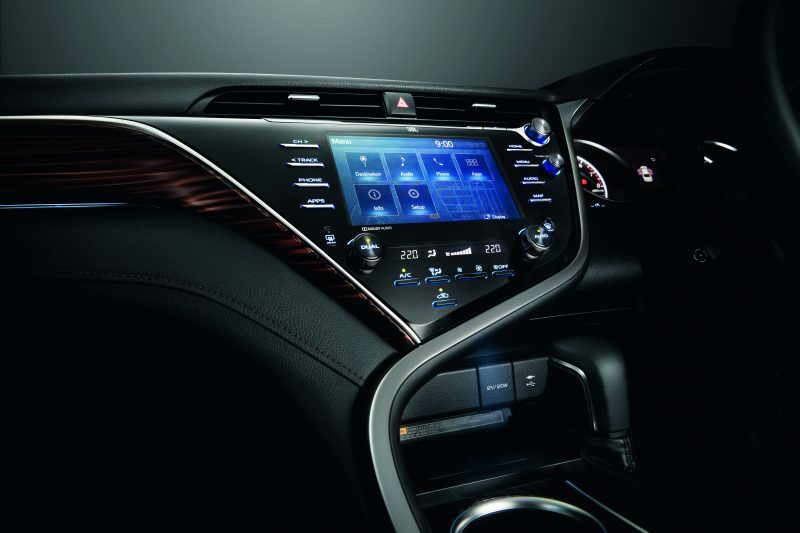 As a cohesive whole, there are nine JBL speakers and an eight-inch capacitive touchscreen display to go along with a dash cam. The 10-inch colour head-up display is also a godsend that does not encroach upon one’s field of vision. It’s subject to groovy colours – such as Red Mica, Platinum White Pearl Mica, Silver Metallic, Graphite Metallic and Burning Black – where “his” and “hers” joined at the hip in its appeal to both genders. Aside from this, there are more excellent features than we have space to mention here. But, in short, the new Camry 2.5V is as expected a delight. Just as we thought it would be. Defined by performance and driving dynamics as a man among boys. Pound-for-pound you’ll be getting much more than what’s indicated on the price tag.